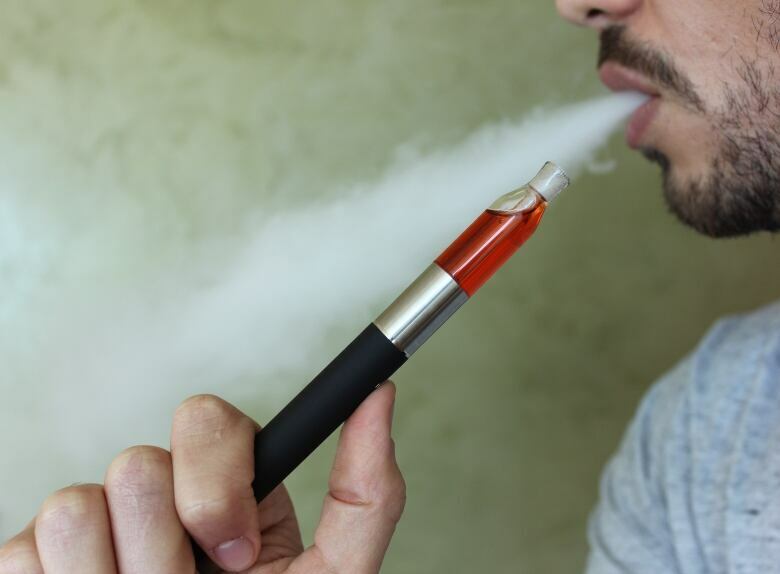 A new study has found that two artificial flavouring chemicals used in e-cigarettes can do damage to lung tissue cells in lab experiments. These artificial flavours are categorized as safe when used as flavourings in food for ingestion, but a researcher at Harvard University's School of Public Health suggests that they may not be safe when heated and inhaled as vapour. In a recently published experiment Joseph Allen and his colleagues exposed cultured lung epithelial cells, the kind of cells that line the surface of the lungs, to vapour from two chemicals: diacetyl and 2,3-pentanedione for 24 hours. "A chemical like the diacetyl is actually pretty diverse, it can be used to make the butter flavor, but also banana and strawberry, nutmeg flavour, Graham cracker flavour, many of the alcohol flavours." In a previous study these two chemical appeared in 90 per cent of the e-cigarettes the team tested. The team found that even low levels — below the levels recommended for industrial exposure — the chemicals altered gene expression in the lung cells. In particular the chemicals seemed to interfere with the growth, production and function of the cilia, the tiny, hair-like fibres that these epithelial cells produce. The cilia work, along with mucus in the lungs, to trap and remove contaminants that enter the lungs. "Flavouring chemicals caused significant changes to gene expression in our airway epithelium and these changes are related to cilia in the lungs" said Allen. "Impaired cilia function has been associated with lung diseases like COPD and asthma." There was good reason to be suspicious of these chemicals, according to Allen. Diacetyl was known from studies more than a decade ago to be associated with bronchiolitis obliterans. This rare and serious disease of the lungs became known as 'popcorn lung' because of its prevalence among workers who inhaled the chemical as a heated vapour in microwave popcorn processing plants. Workers in those facilities are made aware of the dangers of inhaling these chemicals, Allen says no such warnings exist for e-cigarette users. This concerns him not just for the two chemicals he tested. These flavouring chemicals belong to class the US Food and Drug Administration classifies as GRAS or "generally recognized as safe." This applies to a range of substances used as food additives and flavourings. But according to Allen, this assumption of safety may only apply to these chemicals when they're used in food or drink. He thinks we shouldn't assume that these flavourings have been tested for safety in vaping. "The flavouring industry itself has identified what they call 27 high priority chemicals in a report on respiratory health and safety in the flavouring manufacturer workplace." he said "It begs the question which flavouring chemicals are using and has it been tested for inhalation safety." 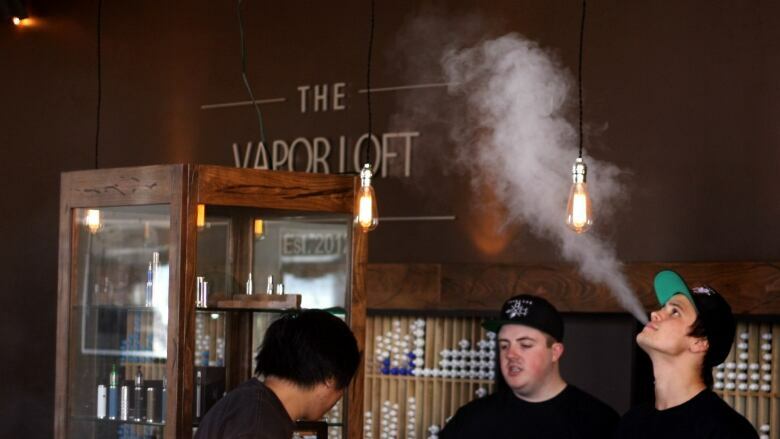 This new finding is particularly worrying in the light of new statistics released by the U.S Centres for Disease Control and Prevention, which suggest that 20 per cent of high school students say they have vaped. For elementary school students that number is a lower, but still surprising, 5 per cent. Health Canada reports lower numbers in Canada but has expressed "concern" about the use of vaping products by youth.